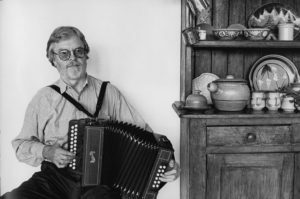 Tony MacMahon is a button accordion player who has done much to bring authentic Irish traditional music to the attention of the wider public. His story is an interesting one. He learned his music from a number of the respected older players such as John Kelly, Seamus Ennis and Joe Cooley. He claimed that the music was essentially personal and intimate, and that in the right setting it could have a transforming effect on the listener. He was quite outspoken about the negative effect of commercialism. Here is a link to a documentary about Tony MacMahon. It is particularly interesting from 19:59 on. The fiddle playing of Caomhin O’Raghallaigh at 21:28 is worth noting, as is the singing of Ciaran O Gaelbhain at 7:37. Tony MacMahon has in recent years contracted Parkinson’s disease – you can see the evidence of the onset of this in the film. You will need to skip through the adverts. 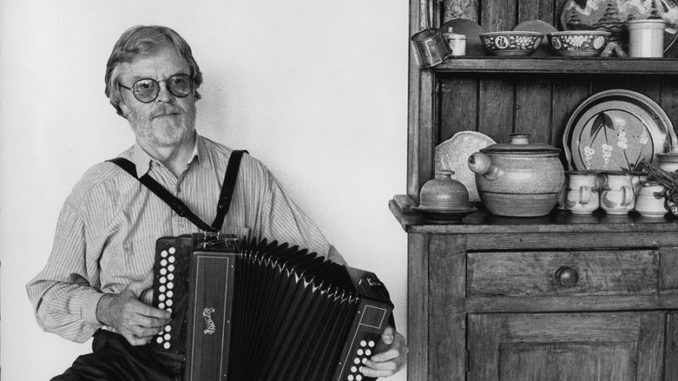 At the present time Tony MacMahon is in Bangalore seeking a remedy for his condition, writing his memoirs and exploring Indian traditional music.